Chemoxy International is one of the largest independent contract manufacturers in Europe. Their sites in the North East of England are Upper Tier COMAH sites. As a responsible operator Chemoxy already had a well-established Management of Change for Process Safety ( MOC ) procedure but wanted to improve the efficiency, robustness and transparency of that process. The existing Chemoxy PSM Management of Change for Process Safety ( MOC ) process had developed over time to suit their specific business requirements and there was real business benefit in continuing to use the core principles of that process. Chemoxy and FoCul worked together to identify areas where the best practices of the Chemoxy PSM Management of Change for Process Safety ( MOC ) process and the existing FoCul MOC application could be combined to create an improved process. FoCul then enhanced their existing PSM Management of Change for Process Safety ( MOC ) application to include the Chemoxy best practices and deployed it as a secure cloud based solution. FoCul continued to work with Chemoxy throughout the deployment providing close support and training. The application has now been in full use for 10 months and is making a valuable contribution to the business. The following new configurable features were added to the FoCul PSM Management of Change for Process Safety ( MOC ) application and are now available to all customers. The existing version of the FoCul application was based around the notion of a single Risk Assessment that is compiled and approved collectively by a group of people. There are individual auditable signatures but it is a collective approval. The Chemoxy scheme is more akin to the model of “Technical Authorities” who prepare and approve specific Specialist Risk Reviews (SRRs). There are 15 – 20 such SRRs and each has a detailed topic specific form with questions and action tracking. There is a Change Impact Matrix which maps the type of change to the mandated SRRs. Most changes require 4 or more SRRs. The application automatically generates the mandated Specialist Risk Reviews and assigns them to a default owner ( Technical Authority ). The Technical Authority, or one of their deputies, then completes and approves the SRR. Chemoxy have a well-established SharePoint implementation that is used for document management. While SharePoint was unable to provide the required MOC workflow functionality it is still a good way to manage the project documents associated with each MOC. FoCul provided additional SharePoint integration that provided users with easy access to MOC specific SharePoint folders directly from each MOC document. The Chemoxy best practices included a requirement that all of the relevant members of the organisation should receive a personal action to familiarise themselves with the change and its impact. The PSM Management of Change for Process Safety ( MOC ) application automatically generates these trackable actions across different teams depending on the nature of the change. The MOC cannot be completed until all of the actions and acknowledgements have been completed. Chemoxy already had SharePoint based personal activity dashboards in place for every user. FoCul added SharePoint integration that allowed activities from PSM Management of Change for Process Safety ( MOC ) to seamlessly appear in these dashboards. The Chemoxy PSM Management of Change for Process Safety ( MOC ) deployment uses the following stage gate process. Note that other configurations are also supported. The initiation step allows the MOC owner to capture information about the MOC including target beneficial operational dates and costs. The owner also identifies which operations groups need to be made aware of the change via the automated acknowledgement activities process. The Change Impact Matrix is used to identify the Specialist Risk Reviews that are required. The MOC owner identifies the type of change from a tiered list of change types that are in turn mapped to a matrix of mandatory Specialist Risk Reviews. The Specialist Risk Reviews are automatically created and assigned to the Technical Authorities. When the last SRR is completed the Risk Assessment Completion stage gate is triggered. The Specialist Risk Reviews also include a review of records that need to be updated so the existing FoCul Records Review stage gate has been suppressed. The stage gate approval at the end of Risk Assessment phase lies with a senior manager but is an administrative stage gate rather than a technical approval stage gate. Trackable actions can be created at any point in the process including from within Specialist Risk Reviews. The MOC specific acknowledgment actions are also tracked via this process. The review stage can only be started after all of the actions have been completed and a period of time, typically 3 months, has passed. Temporary changes need to be re-approved every 3 months. Change requests and actions can be viewed and interrogated via graphical dashboards. Actions are trackable by change request, actionee and owner. Change requests are trackable by status, plant, owner and who the request is currently with. Data can be exported to Excel for further analysis or management reporting. Email reminders can be configured to alert users of outstanding actions and stage gate approvals. The application was deployed as a secure cloud based application. User credentials are managed within the application with users having Administration, User or Read Access. The stage gate processes are secured and an audit history is available for each document. We used a 7 step agile methodology to deliver the solution. An agile methodology is an iterative approach that starts with really understanding the business needs and then using “wire frame” screen mock-ups to fine tune the proposed design. As the functionality is then configured and developed we use regular reviews with key stake holders to make sure that what we deliver works as well as it can. We understand the realities of working within busy manufacturing organisations and are well practiced at delivering these types of collaborative projects with as little disruption as possible. The FoCul PSM Management of Change for Process Safety ( MOC ) solution for Chemoxy has improved the efficiency, control and transparency of the existing MOC process. Changes are now managed more efficiently by allowing users to access the information much more quickly and by allowing users to approve the stage gates electronically. The risk assessment processes are applied more consistently and the workflow configuration of the application ensures that the appropriate level of rigour is applied to all changes. All of these benefits have been achieved while still retaining the Best Practices developed in-house by Chemoxy. FoCul is a specialist consultancy helping organisations to find better ways to manage processes and knowledge to improve efficiency and profitability. Our team is unusual in that it includes both software developers and professional engineers with in-depth experience of the manufacturing and process sectors. We help our clients by helping them to understand their requirements and then helping them to deploy a solution. These solutions can be FoCul Products ( http://www.focul.net/products ) , Bespoke Solutions ( http://www.focul.net/bespoke ) or 3rd Party Solutions. We always put our clients first and we understand how to work with you to deliver successful projects whilst you continue to deal with your operational plants. 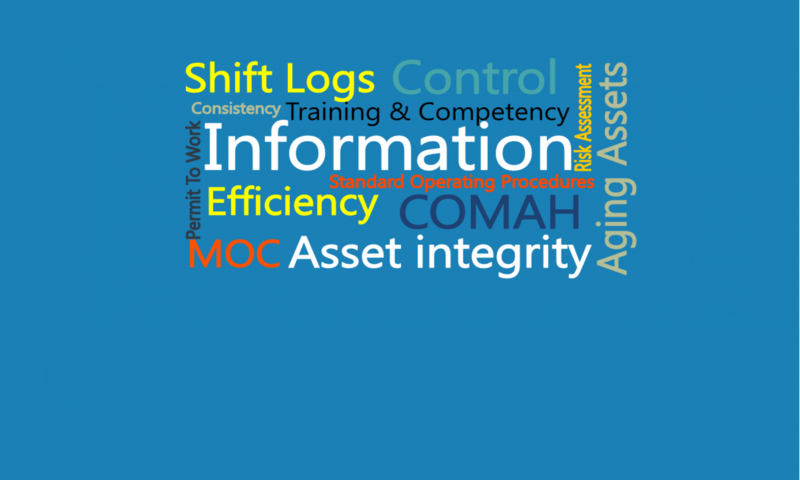 There is a live demo of the PSM Management of Change for Process Safety ( MOC ) application at http://focul.net/moc-demo . Note that different schemes can be configured.